Self: Have you become Nicholas Bate’s amateur publicist? Self: Do you think you have an obsession here? Rule #1: You can do anything, but you can’t do everything. My potential is undoubtedly greater than my current practice. My potential is limited only by my imagination. This I have hardly started to use fully. My potential is limited only by my degree of focus. I have hardly started to apply real focus yet. My practice, my imagination & my focus can only improve. I am determined that they will do so. For Rule #2: How to Escape? Understand. Really Understand. All very excellent rules!! Great post David! Thanks for sharing. 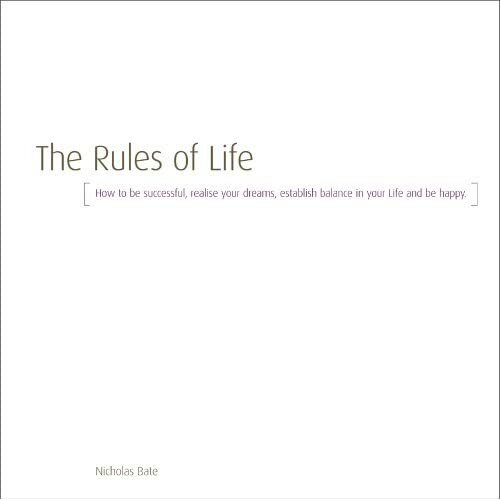 Great post…the free download on The Rules of Life is really good. Thanks and you are obsessed!! I loved your post David and thank you for the PDF download. I am going to tweet this! I am unpacking my imagination stretchers right now! NO LIMITS!